SIR ANDRÁS SCHIFF 2018-2019 Season Highlights | Kirshbaum Associates Inc.
Sir András Schiff has distinguished himself throughout the course of an exceptional international career that has spanned over 40 years. He is world-renowned as a pianist, conductor, pedagogue and lecturer. “An undisputed master of the German repertory,” (The New Yorker), Sir András has been focusing his exquisite interpretations of German master composers, featuring works by Schubert, Bach, Brahms, Beethoven, Mozart and Mendelssohn during the past seasons. 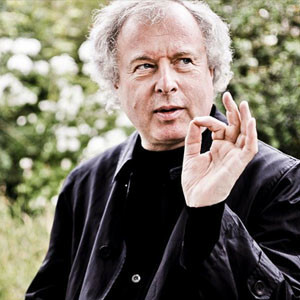 For his 2018-2019 North American tour, Sir András Schiff offers a rich and imaginative recital program filled with love, anxieties, longings, visions and fantasies, capturing the pianist’s personal insights in selected works by Bach, Bartók, Janacek and Schumann. BACH Capriccio in B-flat Major, BWV 992, "On the Departure of a Most Beloved Brother"
Last fall, Sir András Schiff appeared with the New York Philharmonic and the Chicago Symphony Orchestra, serving as both conductor and soloist. In his highly anticipated 2018-19 North American tour, Sir András Schiff conducts and plays with San Francisco and Seattle Symphonies, pairing concerti by Bach and Beethoven with Bartók ‘s colorful Concerto for Orchestra and Mendelssohn’s Lobgesang.